They say that patience is a virtue! 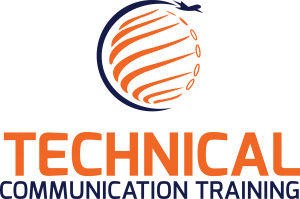 Well Tech Data World is delighted that we have today announced registration is open to our full online training course in technical communication in aerospace, defence and space! Four years of syllabus and content building, discussions with fellow professionals and we have now what we believe is the most focused content, structure and comprehensive online learning course for technical communication in aerospace, defence and space. Full video-lead presentation, interactive questions and answers as well as a certificate for those who successfully pass this course. I wanted to develop not only a training course, but the most comprehensive syllabus for our domain – it has been a long time ambition of mine to do this course and it is ready for us to open it up to registrants! I am super excited and look forward to welcoming technical communicators both seasoned and new! To join this course you need to have a full TD-iQ subscription, you can find out more here, to learn more about our technical communication in aerospace, defence and space training course, please go to the dedicated website and watch the welcome message as well as an overview of the types of things you will learn on this course. Not only do you gain access to the full course and lessons as we publish them, but you also have access to over 100 hours of tutorials and presentations that are available on TD-iQ! All students receive access to TDW-Live presentations LIVE from their dashboard as well as other live presentations and lessons as we release them.